The Beretta Cx4 Storm barrel shroud fits all the Cx4 models, features a patent-protected design, and is 100 percent made in the U.S.A. It is precision CNC-machined from billet, Mil-Spec acid-etched for anti-glare, and Mil-Spec anodized for a semi-flat finish. 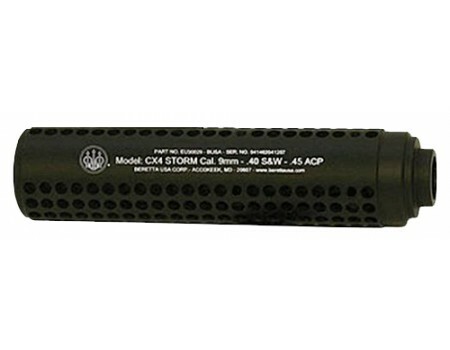 Weighing only 8.2 oz, this barrel shroud does not suppress sound and is 100 percent legal for any civilian to own in any of the 50 United States.